3 million people use ‘high cost credit’ each year including rent-to-own and doorstep lending. The lending industry is one of the biggest industries in the UK and worldwide. If you are in need of money quickly for whatever reason, a loan can be a great option. However, it can feel like you are the only one who is having to take out a loan. This is actually not the case as there are, in fact, thousands of people all across the UK who are applying for loans, whether that be a mortgage or a guarantor loan. It is constantly reported by the press that the number of people who are seeking out a loan is increasing year upon year. It is nice to have the confirmation that borrowing money or needing to take out a loan no longer carries the same stigma that it has for many years previously. In this guide, we will be looking into the general statistics surrounding the loan industry and prove how normal it is now to borrow money. If you are not aware, the FCA is the Financial Conduct Authority. The FCA is the conduct regulator for 58,000 financial services firms and financial markets in the UK and the prudential regulator for over 18,000 of those firms. Realistically, you should only apply for a loan from a lender who is FCA registered to be sure that your financial information will remain safe. 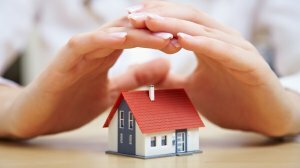 According to the FCA, there are currently 5,210 directly authorized mortgage intermediary firms in the UK. The figures show that those firms employ 34,105 approved people to work. In addition to this, there are 14,1619 appointed representatives as of January 2018. How many loans are lent out each year? As you are probably aware, there are many types of loans. Therefore, there are so many different sorts of loans policies which could possibly be lent out in the UK. For ease, we are going to look at the individual cases on payday loans, car finance, student and mortgages for the examples. For some background, payday loans are an unsecure form of loan which are ideal for quick and easy small amounts of cash. 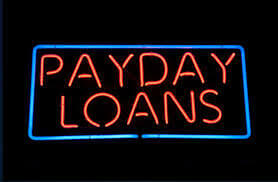 Most payday loans are taken out for between £100 to £1,000. According to research conducted by Finder, the average loan size for applicants is £260. There were around 760,000 payday loans taken out in 2017, down from 1.6 million customers in 2013. Studies found that people who had borrowed in the past were becoming increasingly more likely to borrow a number of other times. In fact, 3 in 4 payday loan applicants took out more than one loan in a year time span. The average amount of loans for people who had taken out more than one was six. The demographic of people taking out payday loans appeared to be unmarried, mostly employed or seeking work and of an age between 25-30. Furthermore, people who took out payday loans tended to be of lower income than the average UK worker, accumulating a household income of under £1,500 per month. Car finance is an increasingly popular option when it comes to loans. Very few people can actually afford to buy a car outright nowadays and this is why car finance has taken off in such a big way. It has been reported by the guardian that between the years 2011 and 2016, there was over a 100% increase in car financing – a rise which is set to continue throughout 2018 and even further beyond that. In terms of numbers, it was found that over £30 billion was borrows via car financing in 2016, which is a number which is double the amount it was in 2011. 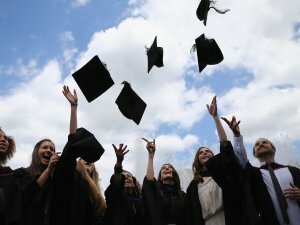 University students can now expect to pay up to £9,250 per year – this will amount to £27,750 over the course of the three years. Coupled with this, students need to pay for their accommodation and living expenses. As you are probably aware, the government offer a student loan which helps to cover your fees as well as your living costs. It has been estimated that student lending has doubled since 2012 is now at a total of £100 billion. The repayment of these loans is only required when the graduate has a job which is above the now £25,000 income threshold. Not many people can buy a property outright and are reliant on the help of a mortgage. Therefore, there is no surprise that a mortgage is one of the most popular types of loans in the UK. For a mortgage, you will have to put down a deposit and the larger this is, the more likely you are to get a lower rate on your mortgage. The minimum deposit for most lenders is 10% and with the average price of a house in the UK coming in at £300,000, the minimum average deposit will be £30,000. Research conducted can help us to conclude that the average first-time buyer in the UK is around the age of 30 and they often have a household income on £40,000. Finder also found that there were 11.1 million mortgages lent out in the UK at present.